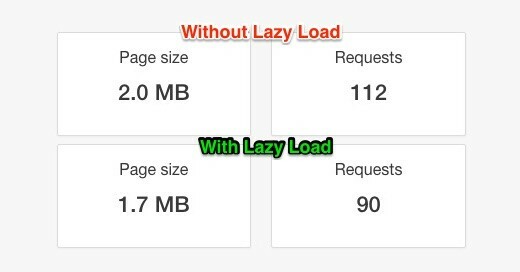 Lazy Load is a smart technique which reduces the page load time. 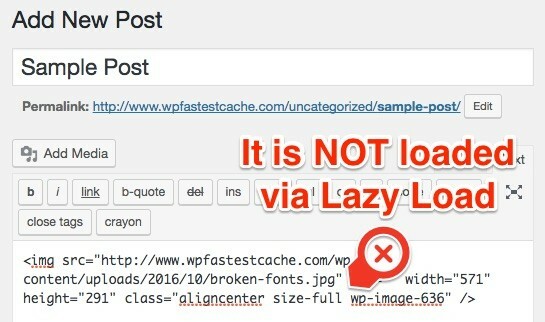 Click Here to find out what Lazy Load is. You can choose which source is used on the Lazy Load. There are 3 cased. 1. Default: If you choose it, the default blank image is used as below. The url may be long and it increases the size of html a little. 2. Wpfc.ml: This option is almost the same with the default option. The source url is so little so it does not increase the size of html. 3. Base64: The base64 code is used. It increases the size of html a little and it does not reduce the http requests on the pingdom tool so we don’t recommend it. A common pitfall of lazy loading is its impact on a website’s ranking in search engines because the search engines cannot crawl the images of a post or a page. You may demand to exclude the full size images. 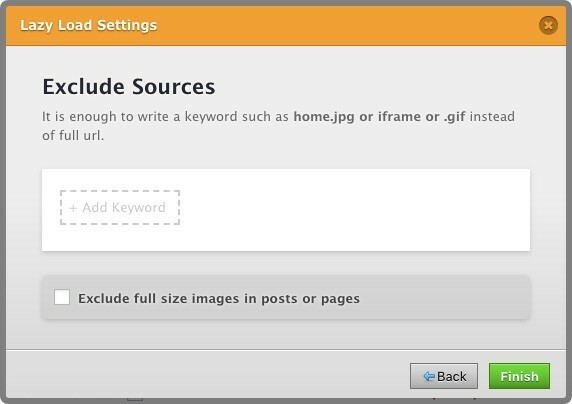 In this case, you need to enable “Exclude full size images in posts or pages” option. If you enable “Exclude full size images in posts or pages” option, the full size images in post/pages are not loaded via Lazy Load.